As I’m catching up on a few reviews, I wanted to give a big THANK YOU to Adam at Roof Beam Reader. 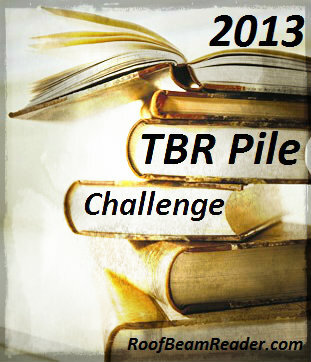 Roof Beam Reader hosts the annual TBR Pile Challenge. In 2012 I fell one book short of finishing, but in 2013 I completed the challenge, got entered for a giveaway, and won a $50 Amazon gift card. Awesome! On a related note, I’ve signed up for the Literary Blog Hop Giveaway hosted by Leeswammes Blog on February 7-9. This event is always a lot of fun, so think about joining us. You can sign up here until February 8-12. Even if you don’t have a blog you can still enter to win free books. You’re welcome! And great choices! I’m participating in the Literary Giveaway Hop, too. w00t!